In the video below, I mentioned that I got the chance to finally meet David Whitley at the Fast Track seminar in New Jersey last weekend. I never knew that Dave was actually a pro wrestler on the Indy circuit back in the day and we shot the sh*t about that for a while. 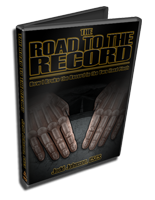 I learned a bunch of stuff about the wrestling business and how the moves are choreographed. If you were there, you probably saw us doing some collar and elbow tie-ups and some Irish whips. That was cool. 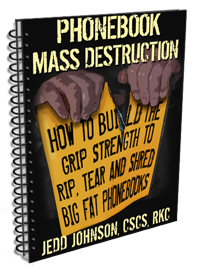 David’s specialty is kettle bells and he is a Senior RKC, but he also does some nail bending and card tearing. Here’s a little video we shot out in the hallway where we bent a 60D nail using a technique that you probably haven’t seen before. I put him over strong this time, but next time it’s gonna be a different story. P.S. 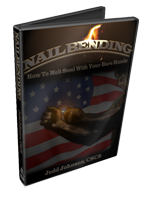 You check out the Nail Bending eBook by clicking the image in the side panel or by just clicking here. 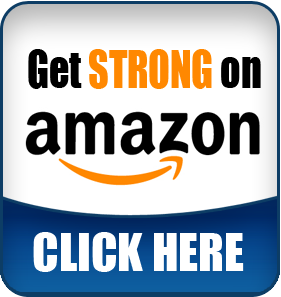 This entry was posted on Monday, June 8th, 2009 at 6:54 am	and is filed under feats of strength bending, how to improve grip strength, how to tear cards, Uncategorized. You can follow any responses to this entry through the RSS 2.0 feed. Both comments and pings are currently closed. There’s 4 darn impressive forearms there boys! Hey there Chris. Thanks for stopping by.